One thing that many parents of Special Needs or Disabled Children will tell you is how hard it is to find activities and days out which are suitable for their children. To find one actually tailored for a child like Grayson is few and far between. So when we heard about Oily Cart we were incredibly intrigued. 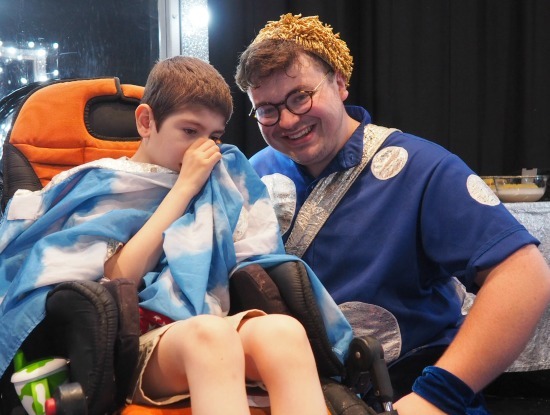 Oily Cart creates theatre for young people with complex disabilities (Profound and Multiple Learning Disabilities or an Autistic Spectrum Condition). 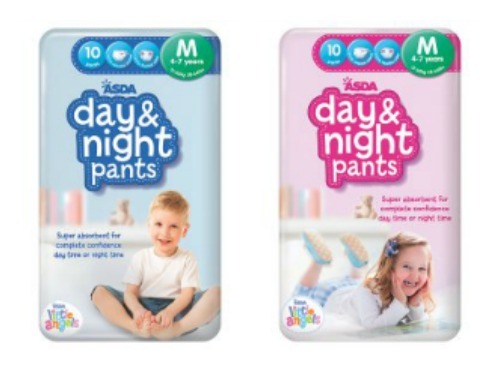 This highly acclaimed work often utilises unusual settings such as hydro-therapy pools and trampolines and incorporates a vast array of multi-sensory techniques including water and bubbles, paper fans, perfume sprays and ultra-violet lighting. Their current show being Mirror Mirror was showing at a local theatre to us The Gulbenkian and they invited us along to see whether Grayson and indeed us would enjoy the show. We attended the PMLD session. Each session can take a maximum of 6 children and their parents/carers. Both Ashley and I went as it was such a treat to have something to do just for Grayson. 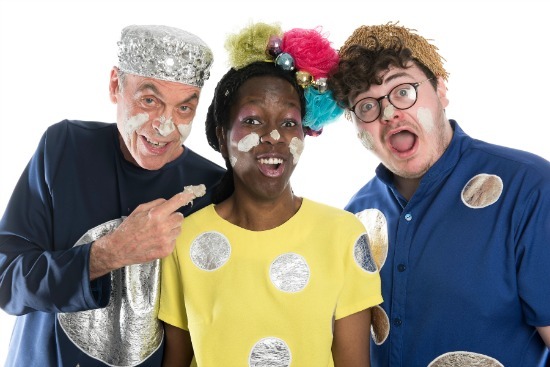 Mirror Mirror is a multi-sensory, interactive social story inviting the children to spend a day at the Spa. The room lights lowered and you are met with Harp music playing and 3 performers who are totally immersed in their characters. They make sure to know each child's name and check with you whether anything will really bother them, also assessing this as they go along. The show is completely interactive, starting with Grayson being stroked with gentle make up brushes. 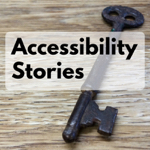 The performers are all highly skilled and trained in understanding sensory needs, my instant love was how our performer knew Intensive Interaction and so thus copied Grayson in all his responses. This meant Grayson showed interest straight from the outset which is very unlike him indeed. 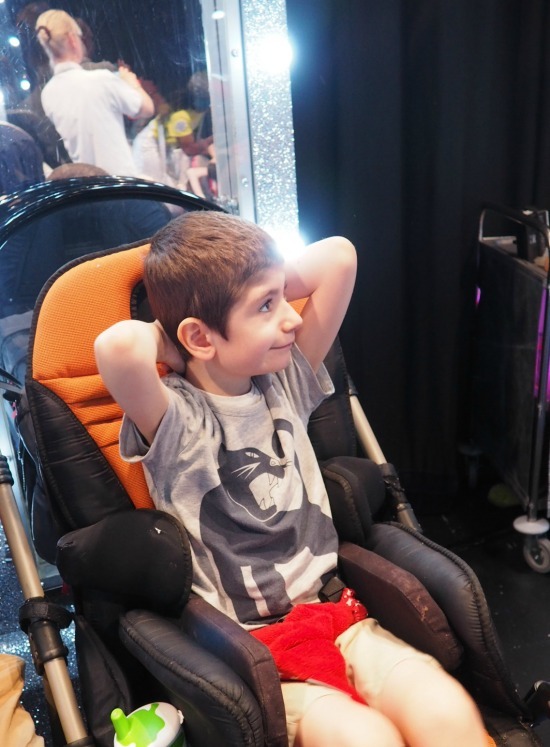 The show continues slowly and calmly, making sure each sensory section they do is ended in the same way so that the children have an understanding. Using mud, soapy bubbles, water, lights and even specially designed mirrors Grayson was treated to a real spa session and although he found the Harp music a little too relaxing (he kept trying to fall asleep), every time a new sensation was offered to him he would look up and take part. As parents Ashley and I watched on, also becoming involved enjoying seeing how our Superhero interacted with the show around him. We both left feeling warm in our hearts to have had such a shared experience with Grayson. Oily Cart have spent many years making sure they have so much understanding of children with Autism or Profound and Multiple Learning Disabilities and for that I am so thankful. 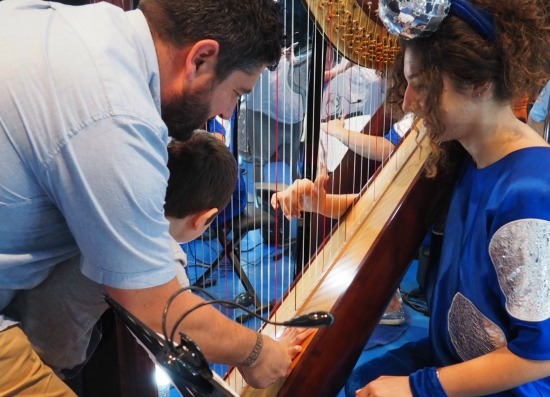 Once the show is finished they invite the children to meet the performers and feel parts of the room, Grayson is particular headed straight to the Harp, he has always had quite a love for music. You leave the show feeling happy, content, relaxed and personally for me excited and full of ideas of sensory play we could do at home with Grayson. Both Ashley and I are excited for Oily Carts next show, Kubla Khan which shall be showing at bOing Festival at the Gulbenkian and amazing family festival we have attended the past two years. Mirror Mirror does still have 2 shows left ahead of Kubla Khan at The Egg in Bath on 22/23 July. 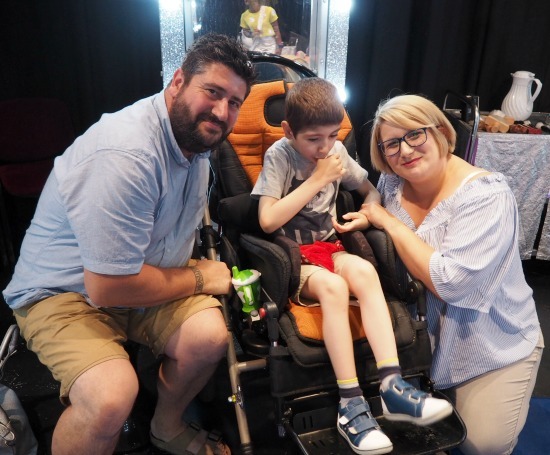 I urge you if you too have a child like Grayson then head to Oily Carts website and check out the Tour Dates, it certainly was an experience we shall be talking about for a while, how amazing is it to have something specifically for children like ours.